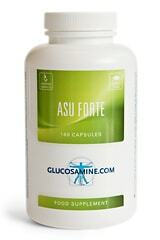 Dog with osteoarthritis in hip and back: glucosamine? This week we went to the veterinarian with our dog. Unfortunately he discovered osteoarthritis with our dog in his left hip and at the front vertebrae. He was given pain killers, but we don’t want him to be permanently dependant on them. 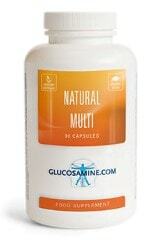 Now glucosamine came to my attention. Could you perhaps give me some information on the usage? Our dog is 9,5 years old and weighs 6,5 kilos. For dogs with hip osteoarthritis glucosamine normally works very well (90% of the dogs show improvement). Most of the time there are signs of hip and elbow dysplasia. A defect in the shape of the tissues of the joint can be found. Consequently the cartilage is overloaded resulting in the emergence of secondary osteoarthritis. 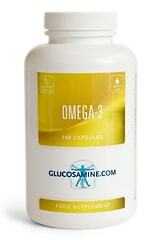 Especially for this type of osteoarthritis glucosamine works above average for as well people as animals. We are not experienced when it comes to the treatment of osteoarthritis at the front vertebrae in dogs. We only have little experience with people. 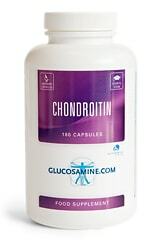 Here the combination of glucosamine with chondroitin shows improvement after a year with people suffering from osteoarthritis at the vertebral disc space. A faster result can be achieved when it concerns osteoarthritis of the facet joints of the vertebrae. The dosage for a dog of 6,5 kilos is one third to a half capsule a day.